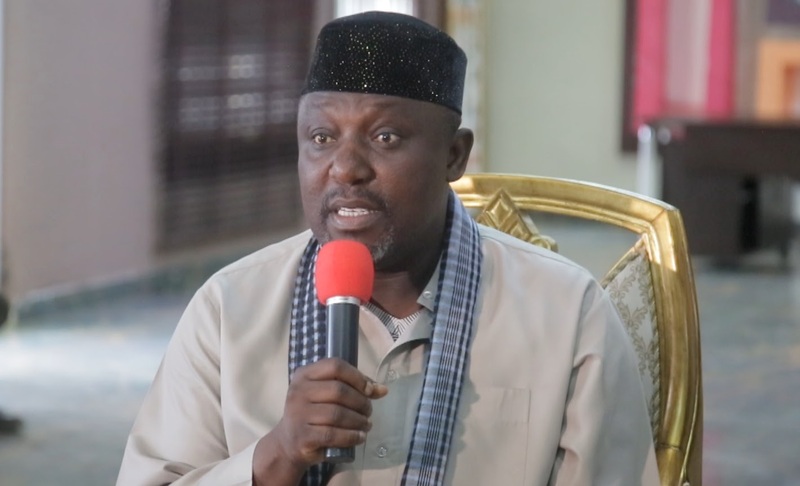 Imo State Governor Rochas Okorocha has decried what he described as pull-down-syndrome among the Igbo and warned that it may deny the South-East region the chance of producing a president of Igbo extraction in the nearest future. Governor Okorocha insisted the Igbo can never make or produce a president of the country on their own without the support of other tribes in the country. The governor also regretted that the Igbo do not honour their leaders unlike what is obtainable in the other parts of the country, where he noted that people honour their own and appreciate their leaders. “The Igbo don’t honour their leaders; they would rather rundown their leaders. The pull-him-down syndrome is high in Igboland. He regretted that the Igbo engage in pull-him-down practice without knowing the overall implications. “So, it will be out of place for an Igbo presidential aspirant at any given period to think that the Igbo will make him president because Igbo do not value their own. “They don’t value what they have, but value outsiders. It is in their character. It is in their nature. “It is a problem and it didn’t start today. Go down the memory lane and you would discover that the pull-him-down syndrome in Igboland didn’t start today,” Okorocha said. Bandits, generation of failures, political prostitutes, complicit and collaborators of the enemy do not belong to Igbos of south east of Biafra Republic in Disintegrated Republics of the natives. Igbos of south east of Biafra Republic in Disintegrated Republics of the natives honours their own. Igbos of south east of Biafra Republic honour Ojukwu who is of Igbos of south east of Biafra Republic in Disintegrated Republics of the natives. Existence securities and freedom of Igbos of south east is only under Biafra Republic of south east in Disintegrated Republics of the natives which must be defended with the Sword in this final conquest of the Liberation Revolutionary Warfare of the natives which is the conquest of Sokoto which has begun. It is Revolutionary Militant Groups- RMG etc. formation which its members are the new military, police etc. under the natives Disintegrated Republics- Biafra Republic of south east, Niger Delta Republic of south south, Oduduwa Republic of south west, North East Republic, North West Republic, North Central Republic. Any individual or group which do not join the Revolution now under the natives Disintegrated Republics in this final conquest of the Liberation Revolutionary Warfare of the natives which is the conquest of Sokoto which has begun, do not belong to Igbos of south east of Biafra Republic, do not represent Igbos of south east of Biafra Republic in Disintegrated Republics of the natives. God given Victory is the natives. Only the Sword decides. God Is With Us!!! With your characters that will trade your people for position and money how can we not PULL you down? Igbo politicians are the worst and the MOST selfish EFULEFUS I HAVE EVER seen. ROCHAS, let me ask you, are you people (Igbo politicians) thesame with the Northern and South Western counterparts? How many meaningful peoples projects have our senators, ministers and guvnors brought down to East Nigeria to curb the perennial influx to Lagos and Abuja by our youths?. Yet, you want respect. RESPECT MY BOOT!!!! How many Prominent Northern and South Western Politicians malign and talk down on their people in the media the way you Rochas and your Igbo political Lilliputs do to Igbo CAUSE and benefits because of your bellies. Look at You, Osita Okechukwu (VON), Andy Okonkwo, Joe-Igbokwe, and Orji Kalu who claimed in the media that he knows the where about of our brother Nnamdi Ohamadike Kanu. Tell me, who sent him? for what purpose? Is it well with us as a people? He even went further to state that Biafra is dead just like Andy. There shall NEVER BE NIGERIA PRESIDENT OF IGBO ORIGIN. Try as you may, it shall never be. We REJECT IT TOTALLY BECAUSE THAT IS NOT OUR PRIORITY. MAY GOD FORBID IT!!! If you want respect and recognition, first put your house in order. Igbo are not fools. We know people that mean well for us. Time shall tell. For NOW & EVER, perish Igbo Presidency because IT shall NEVER be.